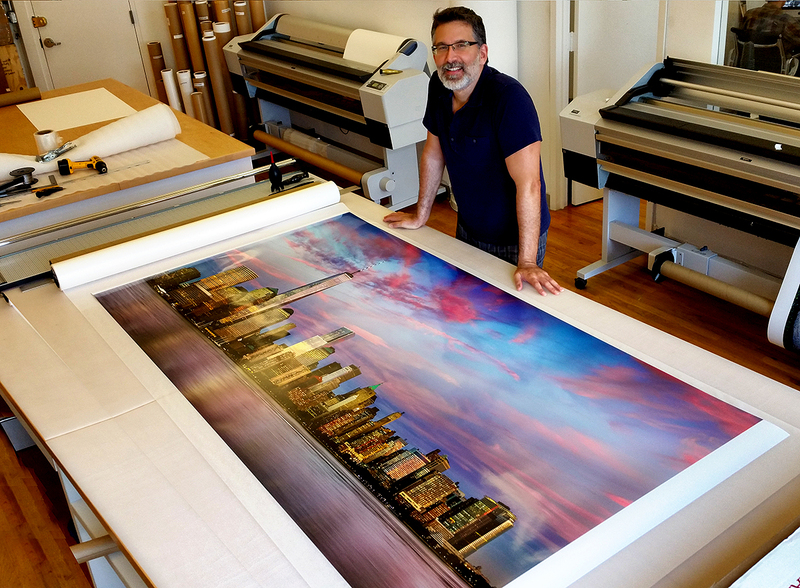 Andrew recently signed the first large format print of Panoramic View of Lower Manhattan and World Trade Center at Dusk, a limited edition available in print sizes up to 120 inches wide. The edition is printed on a custom pearl finish paper which reflects the highlight areas of the print when illuminated. The paper gives an added dimensionality to cityscapes with glass and steel skyscrapers in particular. You can see this photo and similar photos in the New York City Skylines section of our website. For inquiries regarding this edition please contact us.